See some of the solutions we have implemented for our clients. Colpac is a British designer and manufacturer of food packaging products, internationally renowned as a leader in innovative food packaging solutions. With a dedicated manufacturing plant and complex, difficult to replace machinery, CCTV and security was needed in and around the Flitwick based site. A leading, global car rental company has a large number of vehicles stored at each of their sites across the world and the safety and wellbeing of their staff to consider. For them, security is the number one priority. 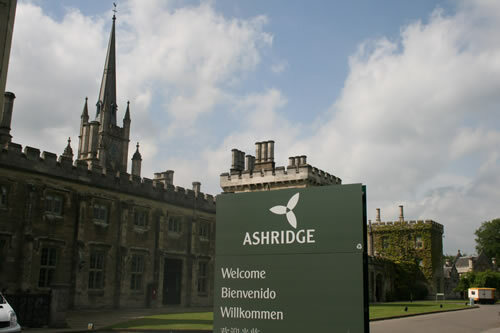 Mr Ian Downie, Facilities manager at Ashridge Business School contacted MJ Security Systems Ltd to upgrade and replace the existing dated CCTV System. After a visit to our showroom, Mr Downie decided to upgrade the system to new Pelco domes with movement sensors and new Quantum Digital Video recorders. Following on from this, we have also been called in to install various alarms, access control systems, video intercoms and Nursecall Units. 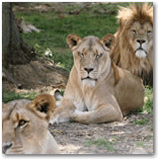 MJ Security Systems Ltd. was contacted by ZSL Whipsnade Zoo several years ago and since then have formed a strong relationship with them. We now not only look after the maintenance of their security and camera systems but we also supply on an ad-hoc basis systems to monitor the birth of sensitive species such as rhinos, elephants and lions. Vale Industrial Park, Tolpits Lane, Watford, Hertfordshire, WD18 9QP. If this name sounds familiar, it is. They appeared and succeeded on Dragons Den! Igloo provides reliable, high quality temperature-controlled transport and have expanded rapidly in the industry. MJ Security Systems were awarded the installation of access control, CCTV and intruder alarm systems at their Watford and Leeds premises. Express Vending have now moved from Dunstable to a larger, purpose-built office and warehouse in Hemel Hempstead. They are the UK's premier provider of drink and snack vending machines, with a large workforce to provide the ultimate in customer service and backup. MJ Security Systems Ltd. were awarded the contract to supply and install a large CCTV system together with access control and intruder alarm systems. For more information on one of the UK's leading commercial coffee machine suppliers please have a look at their website by following the link here Express Vending. The Zoological Society of London (ZSL), is a charity devoted to the worldwide conservation of animals and their habitats. 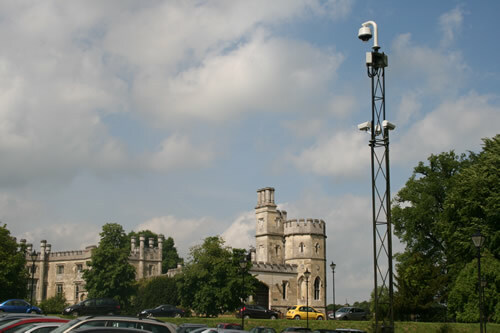 Operating conservation programmes in Britain and across the world, the society's two Zoo sites are at the forefront of utilising the latest electronic surveillance technology to help further animal development, employing CCTV to monitor animals in enclosures at both Whipsnade and London Zoos. One of our long term customers, Woodrush Transport started having unwelcome visits by thieves trying to steal diesel and breaking into containers. We arranged for Haydon Wood, owner of Woodrush, to visit our showroom in Houghton Regis where we provided a demonstration of the new 'state of the art' Presidium analytic unit by Xtralis. Following the visit, we received an order for the Presidium system, which now covers the entire site providing wide-ranging cover with no blind spots.